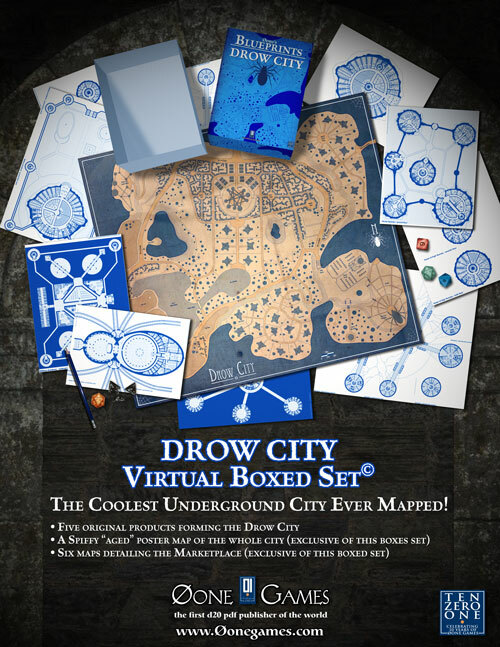 Welcome to Drow City, the most dangerous, deep, mysterious and fascinating underground settlement ever mapped!. - Drow City: seven maps featuring the whole city. • The Marketplace (exclusive of this boxed set): six maps forming a typical floorplan of the marketplace in Drow City. • Poster Map (exclusive of this boxed set): a spiffy 24"x21" aged color poster map of the whole city. I purchased this boxed set because I always wanted to expand ..